Thanks for the manuals... I noticed when I downloaded the 500/550 shop manual that section #9 and section #10 were the same. Whoops, thank you for pointing that out. It should be all there now. So that`s where they put the centerfold !! I think that there might actually be a section missing the last page of part #9 is 90 and the first page of #10 is 100. Thanks for doing that! Very helpful. I see you have a listing for the ST1300, any chance you'll be doing a manual or parts book for a 2002 ST1100? About the '83 cb650sc nighthawk, I have the original owner's manual scanned in as a PDF on my website. Email me for a link. 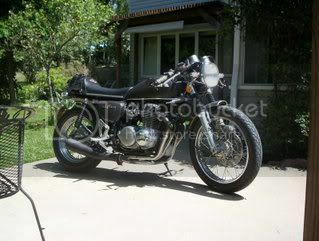 You wouldn't happen to have the CB 750F 2 or 3 manual would you? This is totally cool! I have been searching for my CB350F manual for days! Thanks. Thanks, I hadn't seen those first two manuals before. "A country attempting to tax itself into prosperity is akin to a man standing in a bucket attempting to lift that bucket by its handle. - Winston Churchill"
Anybody else having a problem opening the 1st Honda Common Service Manual? If anyone could email it, I would appreciate it! You haven't seen any original service manuals for the '83 CB650SC (DOHC) have you? It is a complete strip down of every component on the bikes. I have a K8 and what the CB750 Shop Manual lacked this one out did. The copy of the shop manual I printed off from the sohc4.com pages was missing a page for the front wheel. This year specific guide helps out a lot. ;DThanks Einyodeler! Do you have the manual(s) for the DOHC 450??? If you want a copy of the earlier CB750 Owners manual (K3 specifically), I can send you a copy of mine. What happened to the K0-K6 750 manual? First file will uplaod.......the rest say file was deleted or never existed. What happened to the K0-K6 750 manual? First file will uplaod.......the rest say file was deled or never existed. Looks like it is no longer hosted at the site listed. That's one of the risks of alter-hosting. Ok....I got this one to work. Does anyone have a copy of the F3 manual which has the pages from chap 10, pg 8 to chap 11, pg 9? "CBX1000 Owners Manual, CBX1000 Parts List, and CBX1000 Service Manuals" were deleted or never existed. All of the SOHC links are now back online and I will be adding to this list. Wow. Thanks for the great resource! The manual I downloaded for my CB500 (not from your list) is missing a couple pages. The service manual you posted seems to have what's missing. 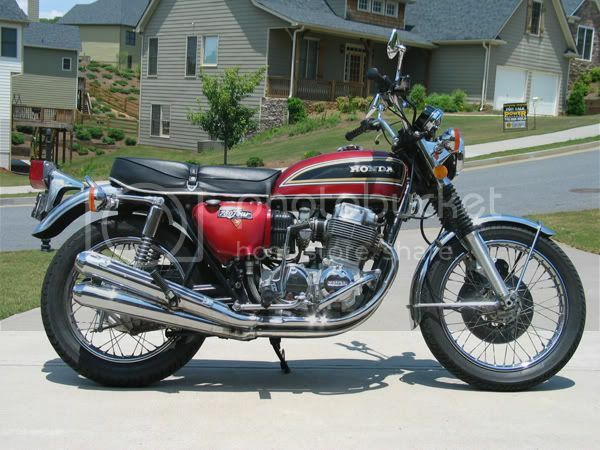 I notice the CB77 download points to the CB350.